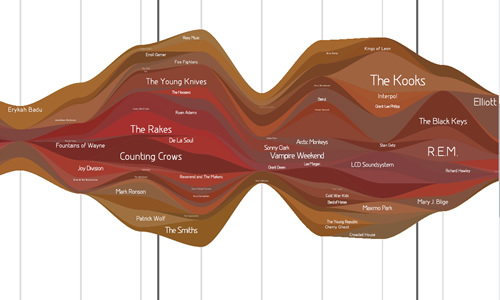 LastGraph takes your Last.fm data and turns it into beautiful posters that display your listening history over a period of your choosing. You can customise these and they're pretty effective. Highly recommended. Here's one of mine - downloadable as a PDF (1.8MB). Best wishes to all attending the Summer Ball tonight.